Scissor Rolex by Dr Romanelli for Bamford Watch Department. 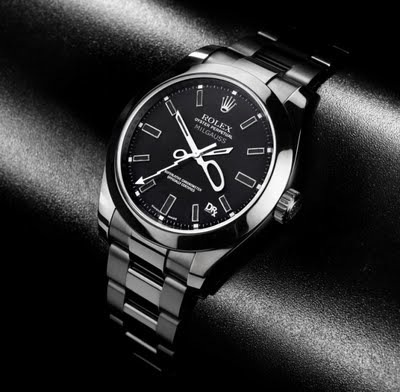 If you’ve got a bit of change to spare and would like a unique way to show off your profession then check out this amazing customized Rolex by Dr Romanelli for Bamford Watch Department. 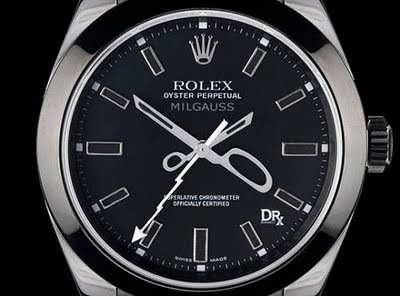 They’ve taken a classsic Rolex Milgauss and updated it with scissors for hands a great lightning bolt second hand. So simple, but so punchy. Dr Romanelli is an LA based designer renowned for his collaborations with existing brands such as Converse, Levis, Jaeger-LeCoultre, Fraggle Rock, Nike and Dunhill. There is a great interview with Bamford and Romanelli about their collaboration over at Hype Beast. Originally hailing from the antipodes, Stephen has a long standing interest in the design and beauty industry.When not in front of the computer Stephen can be found running with the bears on the mountain trails around Vancouver Island. Prebook to make $15,000 more a year — with the clients you already have! When staff leave who owns the client? Spoiler: the client does. © 2011 The Parlour by salonMonster.